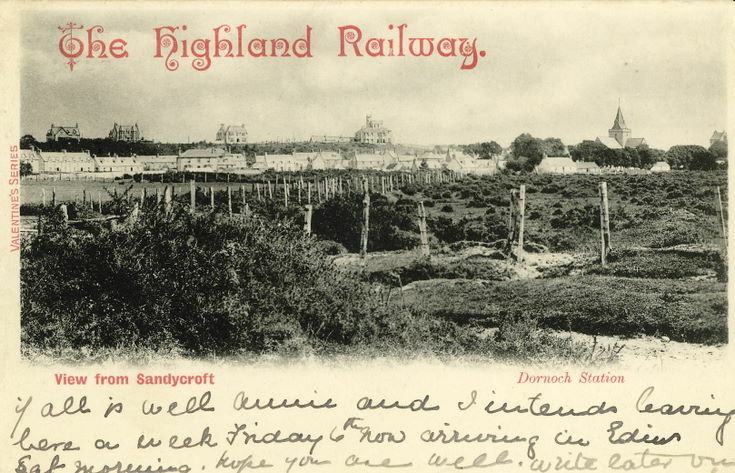 Monochrome postcard, part of the collection sent to members of the Forsyth family in Edinburgh, Pittsburgh and New York. Bears the inscription 'The Highland Railway' at the top and 'View from Sandycroft' beneath the picture on the left and 'Dornoch Station' to the right. Handwritten message is below the photograph.